TwInbox enables you to use Twitter directly from Microsoft Outlook. You can view your tweets and mentions and also post new tweets, replies and re-tweet posts. The program tightly integrates with Outlook and stores all your tweets in a selected Outlook folder, allowing you to archive, manage, group and search your tweets the same way you manage your email. Other features include support for keyword tracking, Twitter usage statistics, short URLs, picture upload, support for multiple account, and more. See new tweets at a glance. 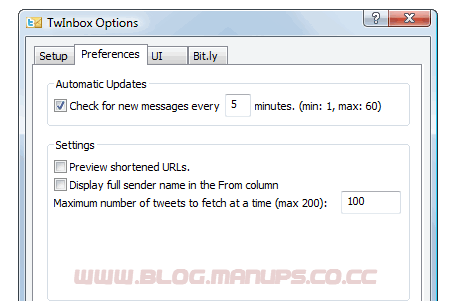 Use Outlook's "Reply" and "ReplyAll" commands to send twitter direct messages and @replies.